Inspired by the nautical light fittings of luxury transatlantic cruise ships. Industrial in style with a nautical feel, the La Marina Lamp by Eichholtz is finished in an on-trend metallic hue. 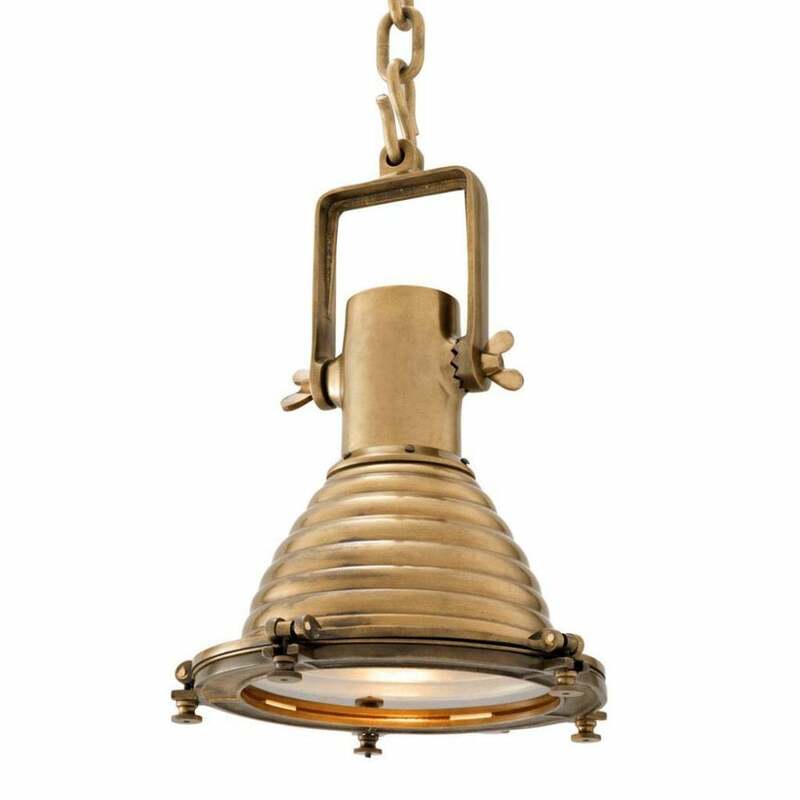 Available in either a nickel or antique brass finish, hang in an installation of three over a kitchen island or dining table for maximum impact. This lamp will suit both a new york style loft apartment as well as a modern barn conversion. With adjustable chain suspension, get in touch with our team at UBER Interiors for more information.